ColourBlend is a new range of blendable pencils for coloring, sketching and illustration. Each pencil is fully loaded with premium, artist's grade wax-based pigment. The result is a rich, velvety color laydown with unrivaled blendability. 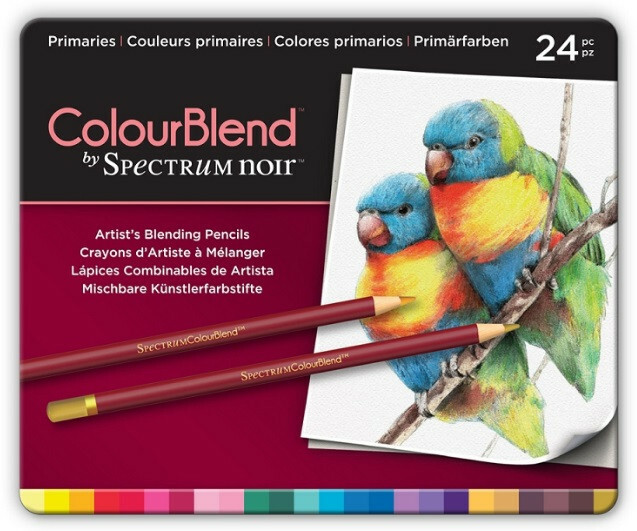 As with all Spectrum Noir products, ColourBlend pencils deliver affordable, premium quality color for art, craft and design. Each pencil is encased in premium, matte coated, Californian cedar wood and contains a rich, vibrant pigment for a smooth, highly saturated color laydown with a superior light fastness. ColorBlend pencils can be used alone for traditional sketching and illustration or for adding depth and definition to marker and mixed media work. Their high-grade pigments provide for a huge variation in tone and intensity from each color. Simply layer to add depth, or create smooth, seamless transitions by overlaying related tones. 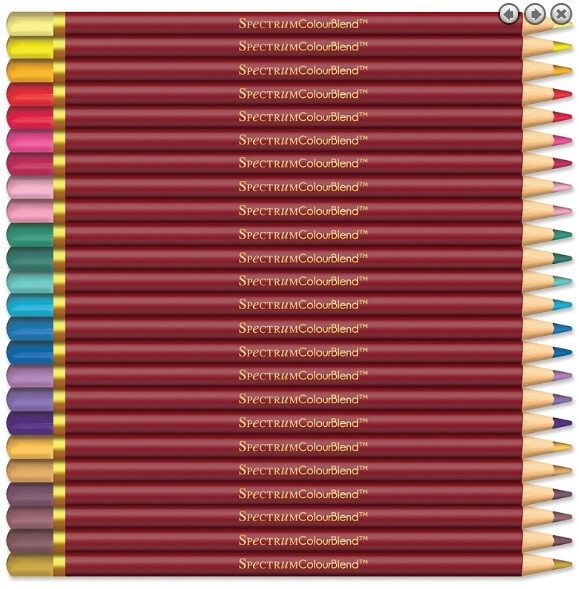 This set of pencils contains 24 pieces.